Adding Dramatic Elements To Your Teaching is included in the Teacher’s Starter Kit. 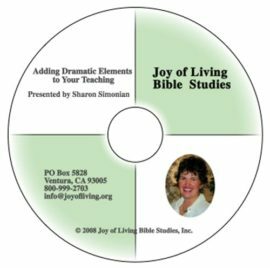 View what Sharon has to say about Joy of Living. All kit items may also be purchased separately, and many may be downloaded or viewed online free of charge. Leadership Training Guide — Step by step guidelines to help you start, administer, and teach a class, lead a discussion group, and provide nursery and childcare. Pages are reproducible for leader training. (40 pages) Click here for free download. 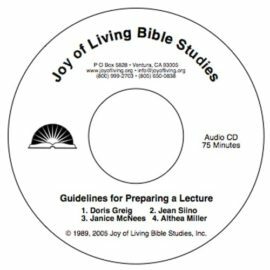 Guidelines for Preparing a Lecture (audio CD) — Four Joy of Living teachers share their systems of preparing and giving a lecture. (75 minutes) Click here for information on free mp3 download. Promo Packet — All items are reproducible. Includes ideas for using each item. 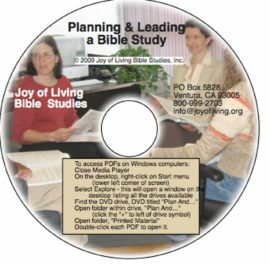 To download and view the Promo Packet items free of charge, click here.